‘Tweet’, ‘tweeting’, ‘re-tweet’ we all are quite familiar with these terms. The world looks up to Twitter in order to stay updated. During 2014, when Twitter Analytics launched, it instantly marked a move towards great transparency which ultimately enhances its user’s experience. Followed by this major update, Twitter has continued to make upgrades to the tool. 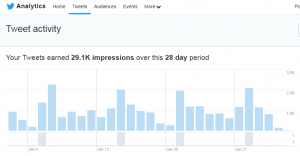 Regardless of what you are running, twitter analytics will help to run any campaign very effectively. For a much better understanding, it is better to have a look at Twitter Analytics guide which will make things easier. 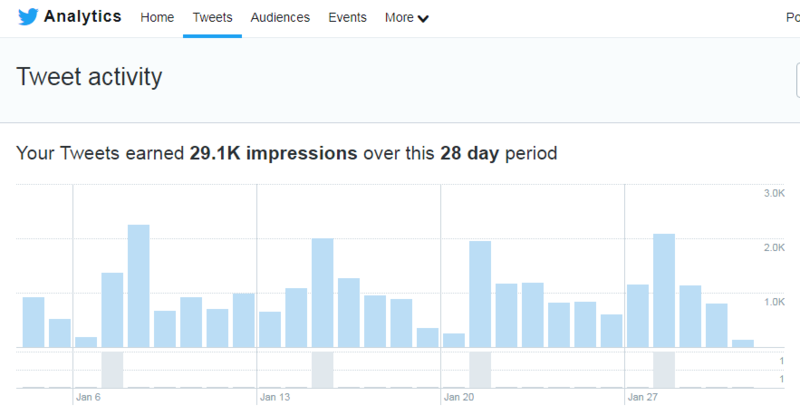 From developing social media to running marketing campaigns, twitter analytics is celebrated for its support that aids your ideas and refines them furthermore. Twitter is filled with almost 500 million tweets per day that are aware of how to translate Twitter analytics in a way that it could reach a wider aspect of the audience. In this guide, you will be understanding how to use twitter analytics, which stats to track and what tools which make it easier for you- read on to know more. Anyone can gain access to Twitter Analytics by clicking on their profile- then selecting the ‘Analytics’ button from the drop-down menu. Now you cause various elements in the section. Twitter hashtag Analytics, tweet activity and much more can be viewed under this section. Once you have set up your Twitter Analytics for free, now it is time to get to know your target audience in a better way. This is naturally the first rule before starting any social media campaign. It makes sense, for obvious reasons. You cannot execute a campaign without knowing what type of content your targeted audience is looking for. This will help you in understanding where the majority of your audience is coming from. One important thing you could do is gain knowledge on what other social media platforms your audience is actively using. Knowing this might help you to pay attention to more than one platform and prevent cross-posting. Twitter impressions are basically a number of times a tweet appears on a user’s timeline. It is important to know that the tweet’s impressions are not limited to the users who follow a particular brand. Neither does it filter based upon the users who are actively interacting with the tweet. They are based on an entirely different concept when compared to reach. Even though Twitter has updated the word limit to 280, it is still wise to keep the content to the point and pretty concise. We live in a world where people prefer a short video message or an image or infographic over reading an article. Visuals also tend to leave a more significant imprint on any user’s mind. According to a survey, people were observed to be three times more likely to engage in a tweet that has a photo or video. Apart from proven statistics, Twitter Analytics will help in determining the kind of content your audience likes. For an instance let’s say that you are a brand that deals in stationery supplies and you post cute pictures with floral backgrounds that are appealing for a female audience and they gain significant retweets and likes. On the other hand, when you post plain and solid backgrounds, they don’t gain as much popularity. This means that the majority of your audience loves floral and cute stuff which will give you an idea of the type of content you should create. Busting all the claims, there is no standard time to tweet a post that can help you to gain maximum popularity. However, in certain case such as Hootsuite, posts made around 3 PM on weekdays tend to perform the best for Twitter’s B2B audience. Make sure you follow your own time schedule when it comes to posting. For example, if most of your audience is in Russia then you need to think twice before posting at 3 PM according to western time zone. When you are investing in Twitter ads to gain a better audience, it is also important to check whether the ad campaign is paying off. You can improvise your presence by boosting a few tweets or you could run a Twitter Sd campaign, regardless of what you are opting for- comparing the results with organic posts will help you to conclude how much return you are making. Previous articleG+ no longer supported due to Google's API shutdownNext article Free social media classes with Postfity Social Media Academy!